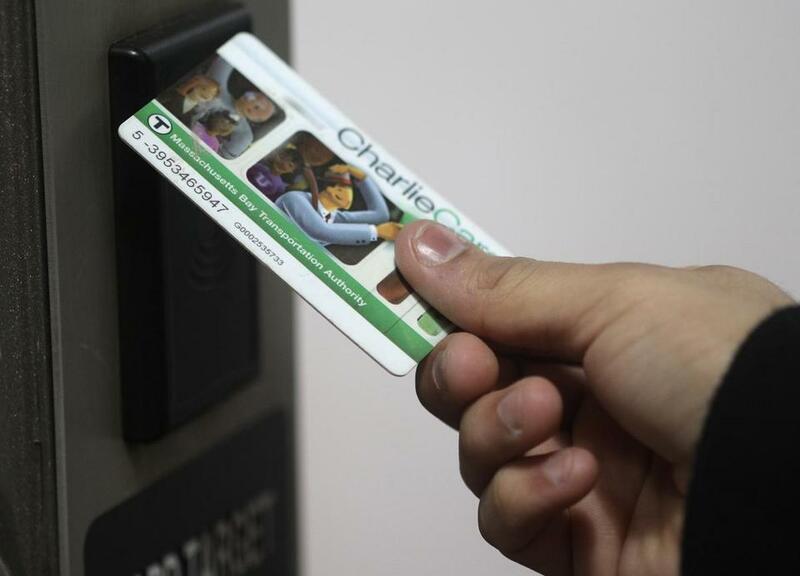 The reloadable plastic CharlieCards expire in three to five years, which came as a surprise to some transit riders. Happy New Year, Starts readers. Today marks the fifth anniversary of the MBTA’s last fare hike. With another one projected for July 1, watch this space for more details soon on the proposals being groomed privately by the T for public comment and review. You may remember that the last hike was tied to the retirement of the token and the systemwide rollout of the CharlieCard. Little considered at the time, but reported by my predecessor, Mac Daniel, was that those reloadable plastic CharlieCards would expire in three to five years. Most actually lasted a little longer, but they are now expiring in droves. That prompted the T in September to mount an educational campaign that included an FAQ on mbta.com and outreach through social media, but many were still understandably surprised when their cards failed, and frustrated at the inconvenience that followed. For frequent riders, the expiration proves largely invisible: Their cards get an automatic software upgrade, and two-year extension, when swiped. But irregular riders may find themselves suddenly unable to use their plastic CharlieCard. New cards can only be obtained from MBTA employees, and not all stations are staffed. Even then, if you have stored value left on your expired card, the T will transfer it only if you visit the Harvard or Downtown Crossing pass-sales offices or if you mail your card to the MBTA Revenue Department (10 Park Plaza, Room 4730, Boston 02116; don’t forget to include your return address). A few weeks ago, reader Irene Gruenfeld of Sudbury and her husband took their 5-year-old twins on a stroll through the city with a promise of a Red Line ride from Charles/MGH back to their car in South Boston. They had more than $10 on each of their cards, but the station gates failed to open, displaying an “expired’’ message. The vending machines presented similarly cryptic information. No staff was present, forcing them to buy the paper CharlieTickets spit out by the machine, which cost 30 cents more per ride. There is no conspiracy, MBTA spokesman Joe Pesaturo said, adding that the T is working to educate the public as well as employees. When the CharlieCard was introduced, five years was the industry standard for the still-emerging smartcard technology. Manufacturers at the time recommended a programmed “sunset date’’ to stave off problems that might arise from frequently used cards nearing the end of their useful life, he said. As it became clear the cards could last longer, more recently issued CharlieCards have been given sunset dates of 10 years. Most of the 6 million issued have the longer lifespan, he said. The T has tried in the past to leave stacks of CharlieCards at unattended stations, only to have them disappear immediately. Some readers who drive between Greater Boston and the Berkshires have asked when the six-mile section of Route 2 closed since Tropical Storm Irene would reopen. The answer? Two weeks ago. The late-August storm wreaked havoc on the important artery, washing out much of the roadway and damaging retaining walls and manmade slopes. The state Department of Transportation was forced to close the highway from mile marker 21.6 in Florida to mile marker 27.5 in Charlemont, prompting detours many times as long. Ordinarily, such a project would take at least a year to survey, design, engineer, and construct, state officials said. Under an aggressive bid-and-construction timeline advanced by the MassDOT administration and approved by the board, the state - and its round-the-clock contractors - completed the $23 million project Dec. 15. I recently answered a question from Henry Lukas of Cambridge about construction on the Massachusetts Turnpike in the Prudential tunnel. I like to mix it up, but Lukas had two other good questions I now have answers for, so he scores a second mention here. One piqued my interest because of proximity. Lukas asked why there are no signs at the exit from the University of Massachusetts Boston campus - and the John F. Kennedy Presidential Library - across from the Globe directing people back toward Interstate 93. “Pity the poor out-of-towner who has just visited such an important attraction,’’ he wrote. MassDOT spokesman Michael Verseckes said the department’s traffic operations group would investigate adding “I-93 trailblazers’’ - interstate highway shields - at the campus exit onto Morrissey Boulevard. Lukas also wanted to know why there is no sign for westbound drivers on Beacon Street approaching Berkeley Street to tip them off to the nearby on-ramps to Storrow Drive. “I have always thought neighbors did not want all the traffic. But pity to any tourist looking for an entrance,’’ he wrote. Verseckes said this was a question for either the city or the state Department of Conservation and Recreation. The city also directed me to DCR, whose spokeswoman, S.J. Port, reminded me that a different reader asked a similar question via GlobeWatch last summer. That prompted DCR to discover that the 1970s-era signs were mysteriously missing, but the agency did not know when they would be replaced, given the need to pour new foundations and install new posts. Now they have an answer: In the spring, when contractors mobilize to begin repair work on the Storrow Drive Tunnel, Port said. My recent profile of the late Robert C. “Bob’’ Devin generated entertaining feedback from people who knew Devin when he was the last live voice of the T, before the MBTA switched to prerecorded announcements at stations in 1989. Devin died Dec. 13 at 94, nearly two decades after he retired from an improbable 53-year career that straddled the Boston Elevated; its successor, the MTA; and the MTA’s successor, the modern MBTA. Riders knew Devin’s unmistakable Boston accent and gravelly baritone from his frequent announcements and near-daily appearances on Charles Laquidara’s groundbreaking WBCN morning show. T employees knew Devin as an outsized character - towering, dapper, hilarious, politically incorrect - who loved the history of the organization and its workforce, if not always its management. And former T communications consultant Bill Litant provided great anecdotes, recalling that whenever there was unexpected rain, Devin used to collect an armload of unclaimed umbrellas from the T’s lost and found and stroll the office, doling them out to any employee who needed one. Litant also clarified that Devin’s signature line was not “service is operating on or near schedule’’ - which I lifted from a 1989 story about his departure from the mike - but “service is running on or as near to as scheduled,’’ adding the “as’’ twice because he liked the rhythm.